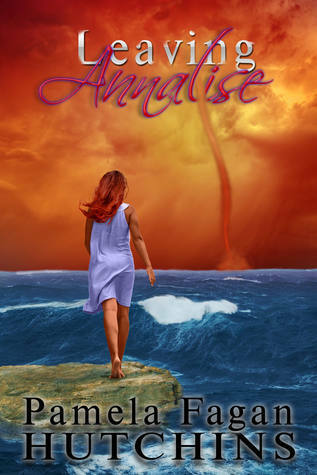 Leaving Annalise is the second in the series, and while it can stand-alone, I’d have to advise reading the first one before it to really understand Katie, why she’s in St. Marcos and how she met the fantastically quirky characters who are her friends on the island and Annalise, Katie’s jumbie house. I like Katie. She’s go issues, but she’s building herself a life in St. Marcos. She’s funny, brave and scared. She’s real. I love the St. Marcos setting. The island sound beautiful and tropical and a place where the things happen everyday that would never happen here. It’s more colorful than Ohio. I have to say I was little disappointed when Nick showed back up. He broke her heart in the first book, and even after having read the book and really enjoying it, I still wish the author had gone a different way. It was well-written, entertaining and keep me engaged, I just wanted Katie to get a clean break from her old life. I can’t complain, though, because it was a good book. The romance was sweet and there was plenty of action and bad guys to worry about. And the ending put a smile on my face. What more could I ask for? Pamela Fagan Hutchins is an employment attorney and workplace investigator by day who writes award-winning and bestselling mysterious women’s fiction and relationship humor by night. She is passionate about great writing and smart author-preneurship. She also leaps medium-tall buildings in a single bound, if she gets a good running start. I kind of like the cover. And it matches the first well. Is that girl going to walk on water? Kind of awesome ;p I’ve always wanted to walk on water. Thanks for hosting the review on my Blog Tour, Carol!